My first leader-ender is finished. I like it so much I decided to use it as my couch throw for a while. It may find another home down the road. 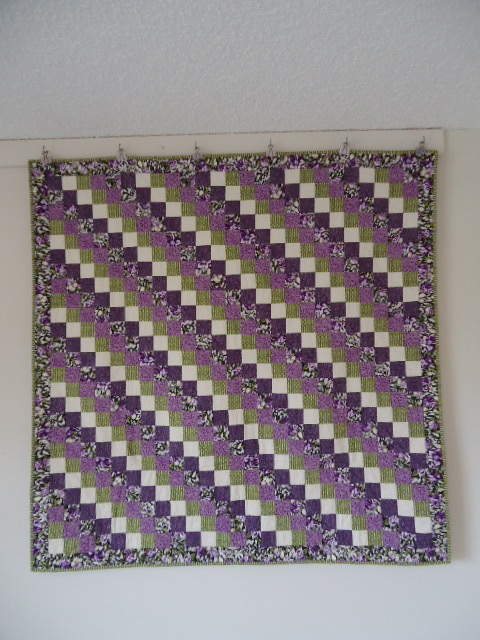 I showed the purple “bargello” finish before but here’s a full frontal shot! 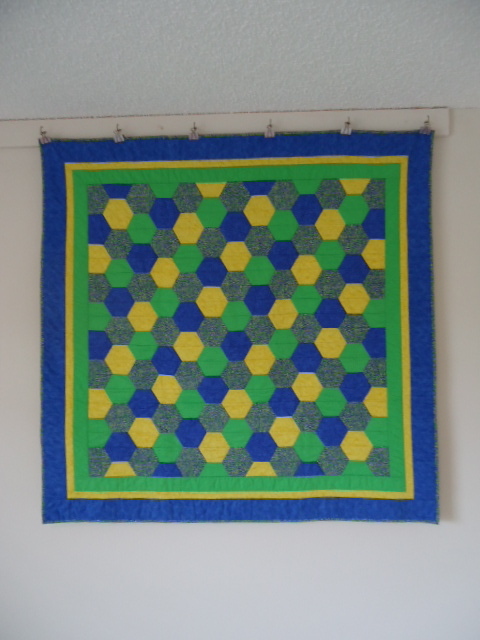 This entry was posted in bargello, hexagons, leader-ender, quilting. Bookmark the permalink. You go girl! What a nice stack of quilts you have done for 2012. I’m not sure U have any finished yet…. I love the leader-ender. 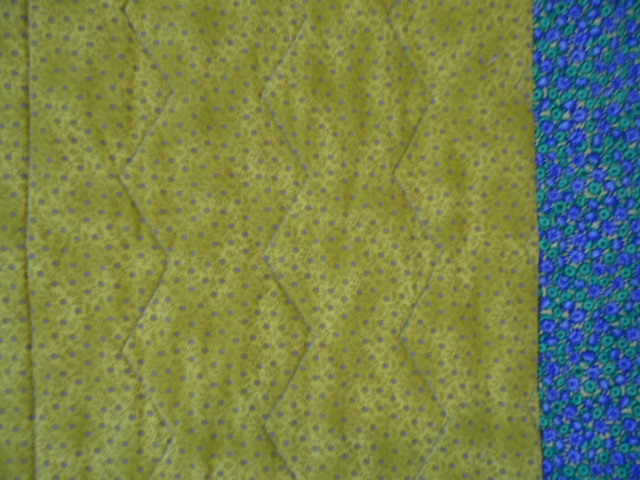 It has an almost basket weave look to it. Perfect as a couch throw. Enjoy! My goodness, you have been busy. I like all three; they are so different from each other too. 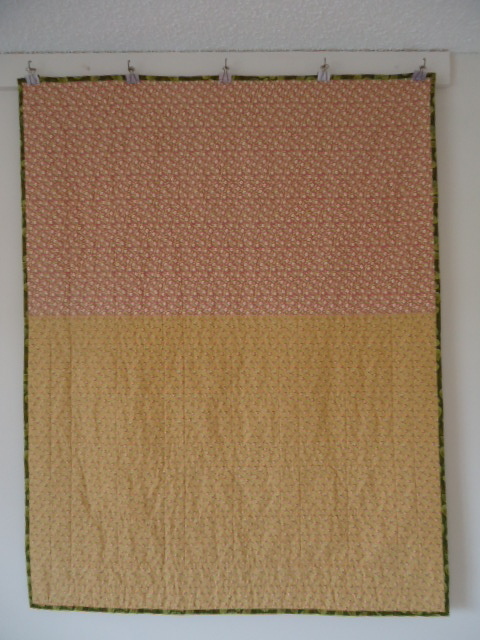 I am glad you are getting to enjoy at least one of your quilts for yourself. Wowee, someone has been VERY busy, finishing some beautiful and colorful projects! I love the Sew and Tell name, too. Good to see your stitching! Congratulations on three finishes! Can’t wait to see what you come up with next. The leader ender is my favorite – you should keep it. Great finishes! 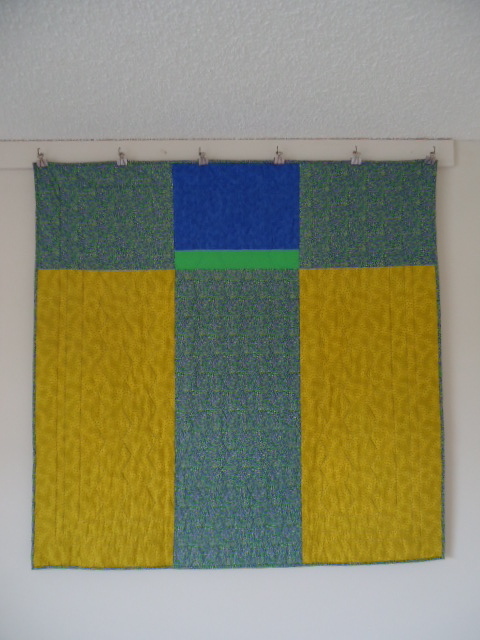 I’ve made a couple leader/ender quilts and have always been surprised how quickly they come together. 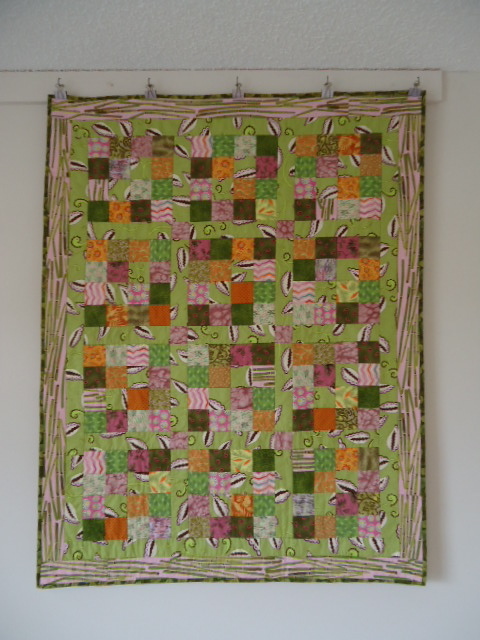 The piles of pieces just keep stacking up and a quilt top is done before you know it.